Are you in the looking for a new Honda Accord San Antonio TX? Browse our inventory for huge savings on the award winning Honda model. Honda cars are known for their great fuel economy and reliability. For the ultimate driving experience, upgrade your current vehicle to a new Honda Accord with the latest technology including parking sensors, blind spot monitoring, Android auto, Apple CarPlay, and more. Our financing department is ready to help you get the car loan for your new Honda Accord with access to the best lenders and auto financing rates. We also offer second chance financing as well as first time buyer programs. Our service doesn't stop after your purchase. Allow our Honda certified service techs to properly maintain your Honda vehicle at our state-of-the-art service department. Looking for a Honda dealer San Antonio? 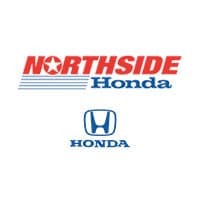 Northside Honda San Antonio is your stop for the Kelley Blue Book award winning 2019 Honda Accord. The new 2019 Honda Accord is also a Top Safety Pick by the Institute for Highway Safety.